Who is the best of all-time in NASCAR? The popular choice is the “man who could see air;” of course, we speak of the late Dale Earnhardt. Most famous for his intimidating ways, the seven-time champion could rally from laps down to win and do perform feats of renown. Others would opine the greatest was none other than “The King,” Richard Petty. 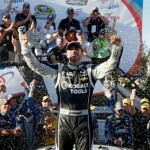 He dominated the NASCAR scene, and has been a longstanding goodwill ambassador. A living legend celebrates a birthday this week, and some may argue he’s very much in the discussion. For this fan’s money, the best ever may very well be the “Silver Fox,” David Pearson. Rarely racing a full schedule, the South Carolinian still managed to amass an impressive resume. With 105 Cup victories, Pearson is second only to Petty. For a brief period in the late 60s, he ran a full schedule of races, and not coincidentally, he won three championships. Back in the 50s, 60s and 70s, racing didn’t pay like it did today. It was also a heck of a lot more dangerous. For much of his career, the Silver Fox raced the better paying races. While some may contend his 16 win season in 1968 was best (earning him one of his titles), check this out: Pearson won 11 races in 1973, while racing in only 18! Interestingly enough, the beloved Benny Parsons won the championship that season with just one win. A contemporary of Petty, the Silver Fox and the King gave NASCAR arguably its greatest rivalry ever. Other than being great racers, they were different in every other way in terms of temperament, the cars they drove, and the lives they lead. From 1963 to 1977, Petty and Pearson finished 1-2 63 times! In those events, Pearson finished first 33 times, Petty 30. Check out this video (click here) from the 1976 Daytona 500. Racing doesn’t get any hotter than this. At Pearson’s NASCAR Hall of Fame induction Petty said he wouldn’t necessarily say Pearson was the best ever, but no doubt he was the best Petty ever raced against. While Pearson’s victory total pales in comparison to Petty, the King got his 200 in 1,185 starts, Pearson got his 105 in just 574. Among a unique breed of adrenaline junkies, Pearson may have been the most unique of all. Tests once determined that in the heat of a race, Pearson’s heart rate actually slowed down! While other drivers bask in the glory, Pearson eschews it. 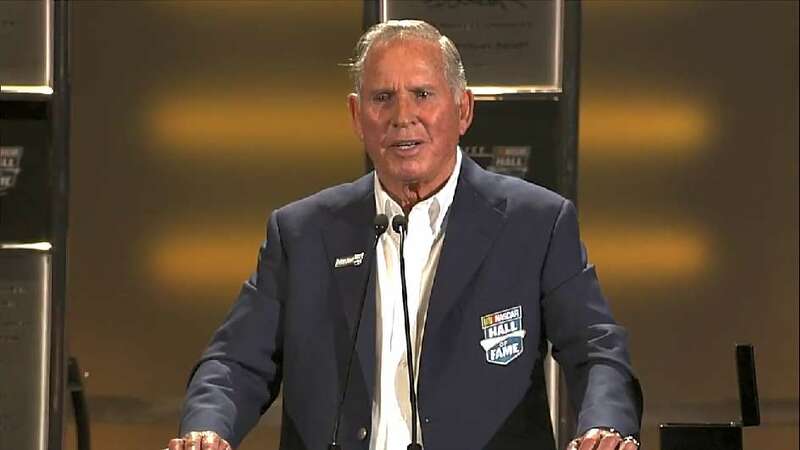 As far as he was concerned, the pioneers of racing belonged in the NASCAR Hall of Fame before he did; Pearson wasn’t the hall’s first class with Petty and Earnhardt, he was in the second. “Checkers or wreckers” wasn’t his style; Pearson earned his nickname for laying back, sparing his equipment, then springing on you like a sly old fox in a hen house. Is he the greatest, who can really know? Refreshingly honest and humble, David Pearson will downplay the fact he is indeed a living legend. Happy Birthday, David Pearson, though youhung up the helmet some thirty years ago, your exploits are the stuff of legend.